Cybersecurity remains a priority risk concern among all businesses. 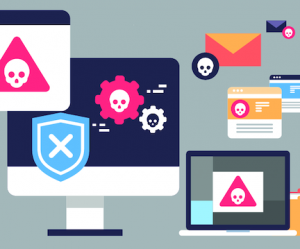 The three largest areas of concern within the scope of cybersecurity are: falling victim to a security breach, discovering unauthorized access to financial accounts, and suffering an internal system glitch. Concerns on the rise among businesses include: outsiders hacking into systems used for business operations, cyber extortion, and questions about having sufficient resources to recover from a cyber event. One in five businesses have suffered a data breach or cyber attack over the past year, double the number recorded in 2015. 52% of businesses say becoming a cyber victim is inevitable. Only 36% of businesses worry about their employees being tricked into transferring funds, despite a 2,370% increase in losses from such scams over the past two years. 95% of businesses say their operations depend on computer systems running flawlessly. 23% of businesses report that they are unfamiliar with their cyber insurance options. 55% of businesses have not done a cyber risk assessment, 62% do not have a business continuity plan, and 63% have not assessed the cyber security of vendors with access to their data – but 91% of these same businesses say they are prepared to weather a cybersecurity event. 50% of businesses have not purchased cyber insurance. The professionals at The Reschini Group can help businesses across all categories and sizes get a true, accurate, realistic picture of their cyber exposure and fashion an insurance approach to safeguard against attack or malfunction. Contact us to talk more about your cybersecurity situation.